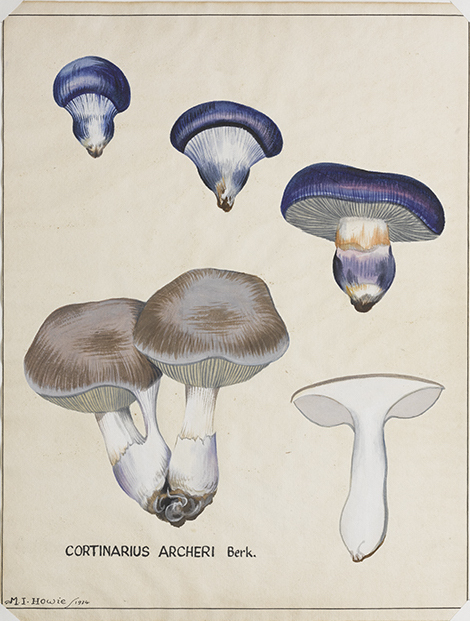 This exhibition will combine intricately rendered watercolours of fungi with actual specimens from the University of Melbourne Herbarium collection. 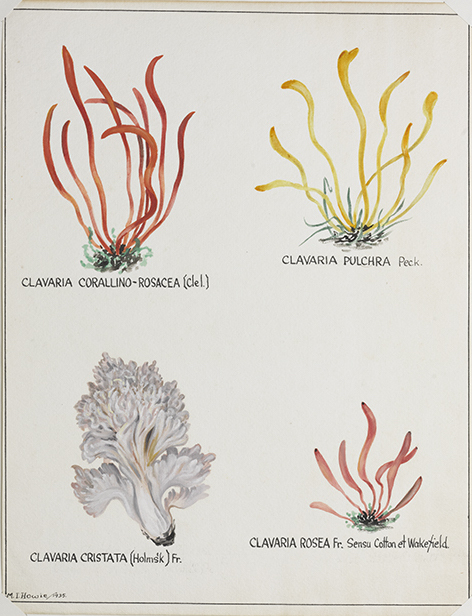 The watercolours, also from the Herbarium, were produced by gifted commercial and natural history artist, Malcolm Howie (1900–1936) in the mid-1930s. 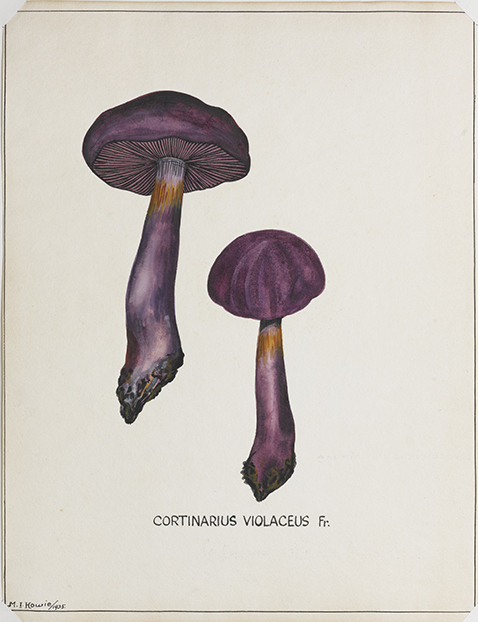 He worked in tandem with his brother-in-law Jim Willis, a botanist at the National Herbarium of Victoria, who collected and identified the specimens Howie painted. 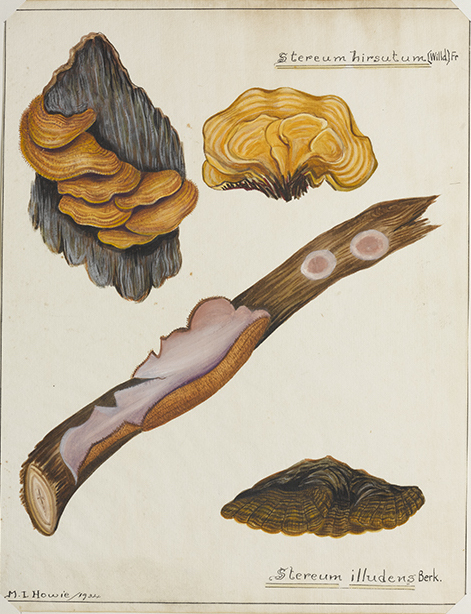 Their collaboration contributed to a greater understanding of endemic and introduced fungi. 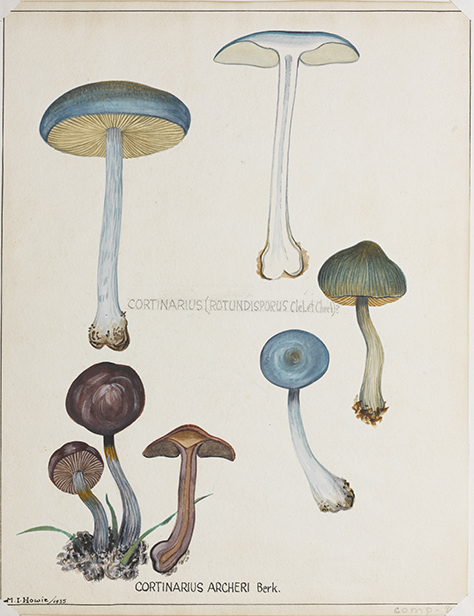 Also included in the exhibition are books and manuscripts depicting mushrooms and toadstools from the University of Melbourne's Rare Books Collection including the elegant herbal Hortus sanitatus, printed in Mainz in 1491. 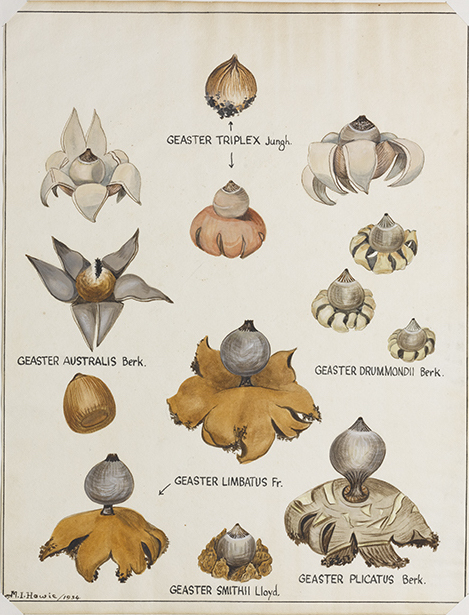 Join us for a cup of tea or coffee, and some fascinating talks in the Leigh Scott Room on the first floor of the Baillieu Library during the exhibition From Botanical Illustrations to Research: Watercolours from the University of Melbourne Herbarium. 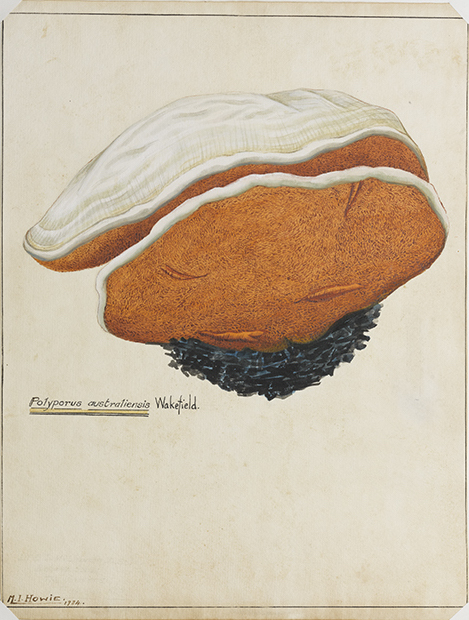 Mali Moir is a botanical, scientific and natural history artist who worked at the National Herbarium of Victoria contributing pen and ink drawings for the Flora of Victoria. 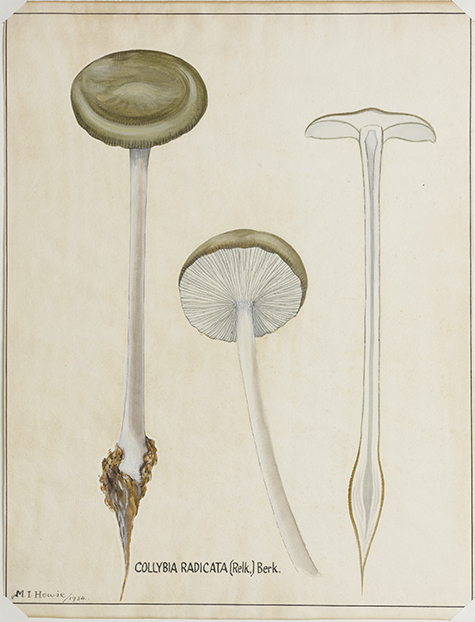 She teaches botanical watercolour painting, microscopic dissection drawing and vellum painting in association with Friends of the Royal Botanic Gardens. 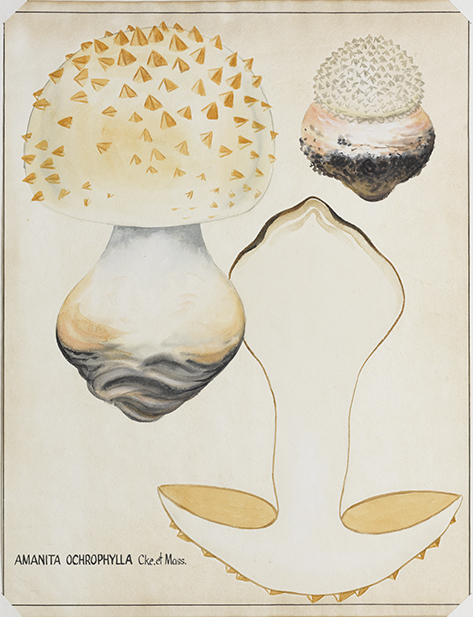 Mali has exhibited widely in Australia and internationally and has produced many works for commission with paintings held in private, public and corporate collections. 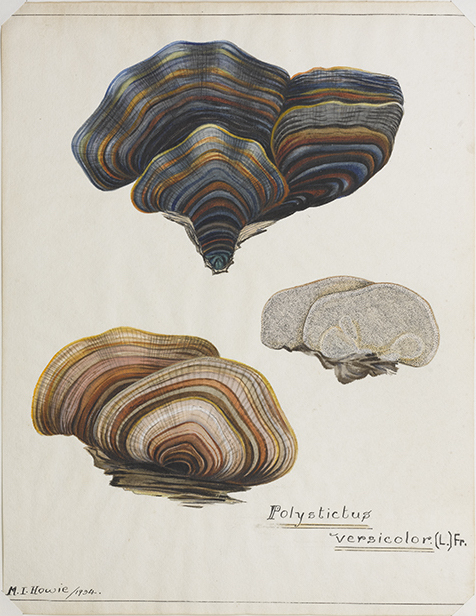 In this talk, Mali will cover some of the processes involved in producing scientifically accurate line drawings for publication. 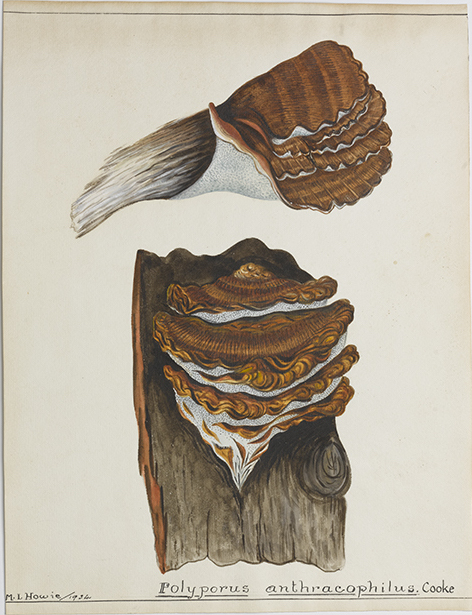 She will also share some of her experiences as an expedition artist with Museum Victoria to Wilsons Promontory, with the French Natural History Museum to Papua New Guinea and a home grown project to inland NSW. I admit it. 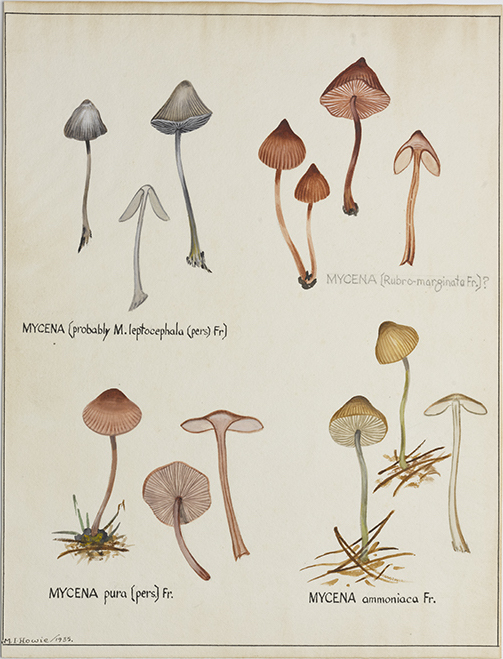 I have a slightly skewed view of the world- “mycocentric” some might say. On a walk in the bush, park or garden my focus is on a group of organisms that many people walk on, step over, kick, note only fleetingly as a patch of disturbed ground or determinedly try to eradicate. 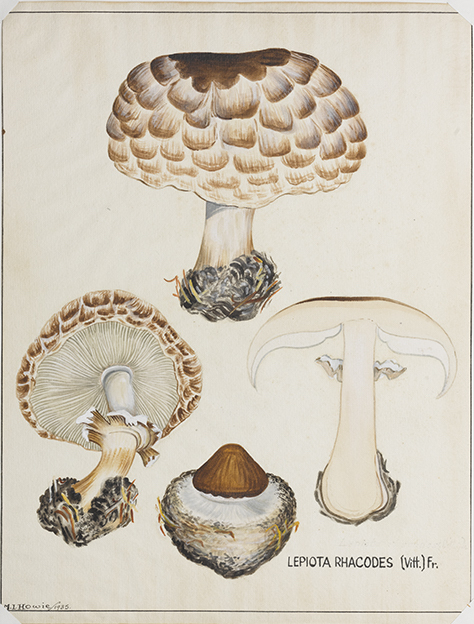 The hidden world of truffle-like fungi in particular has caught my interest. 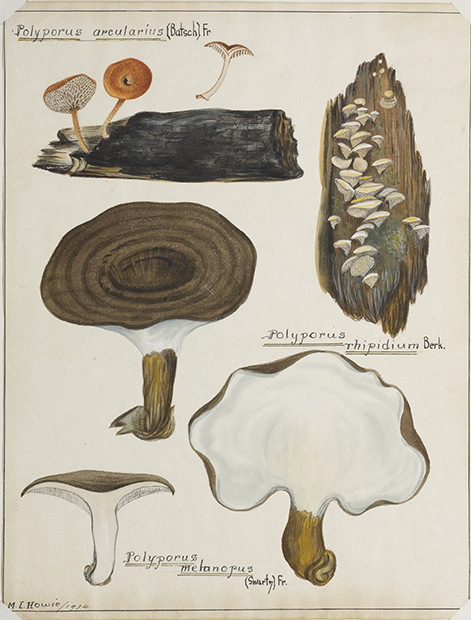 Truffle-like fungi form symbiotic relationships with plant roots, forming a nutritive network in the soil, leaf litter and woody debris that in turn feeds small mammals and insects. 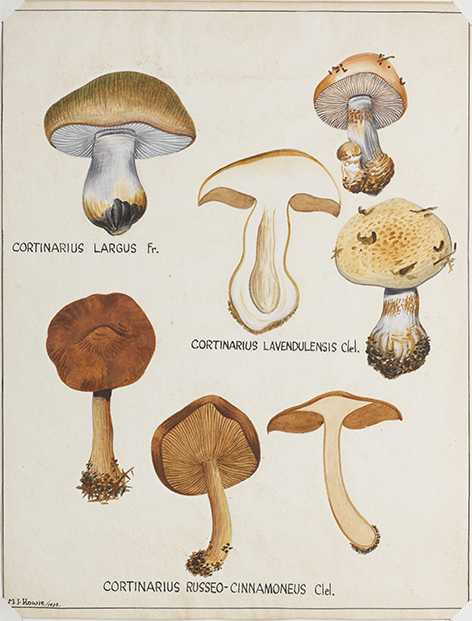 The only sign of their presence is usually animal diggings; and collectors have been known to discard them as ‘mushrooms gone wrong’. 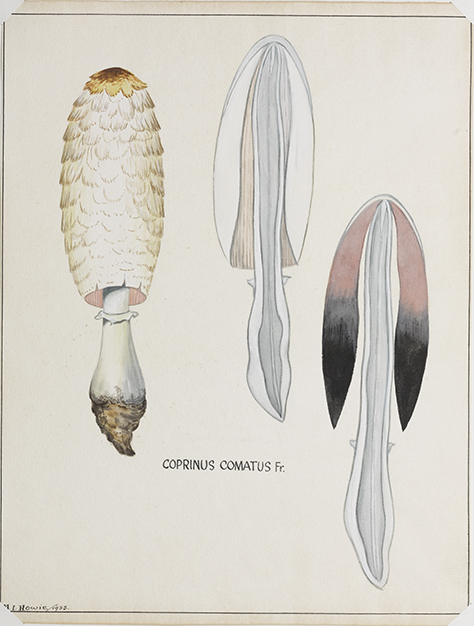 On nearly every field trip, a new species is discovered. 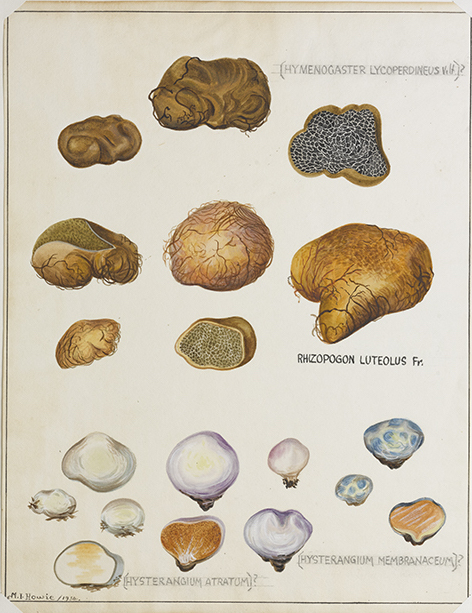 Australasia has a high diversity of truffle-like fungi, some 2000 species, of which less than 20% are named. 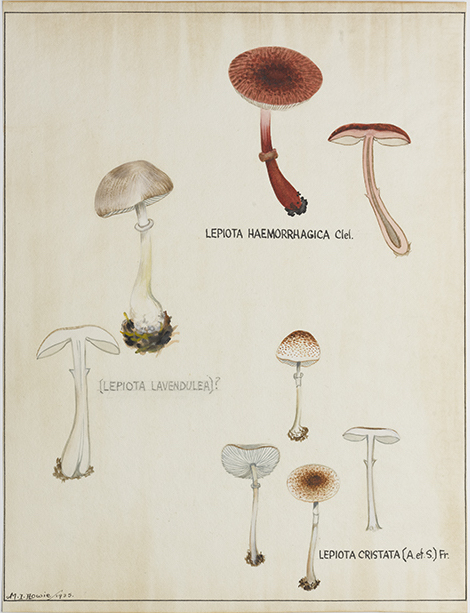 Teresa Lebel is a Senior Mycologist at the Royal Botanic Gardens Melbourne, where her research interests include the taxonomy, systematics, and evolution of truffle-like fungi and their mushroom, puffball, paint-smear, bracket or bolete relatives, and the biology and evolution of 3- or 4-way interactions between plants-fungi-insects-mammals. 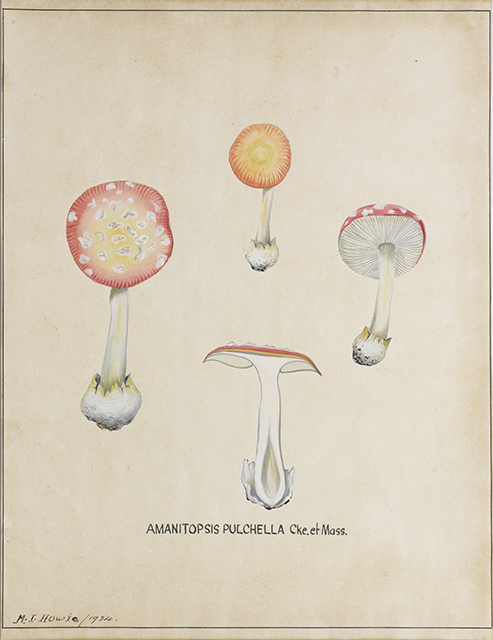 Teresa has described several new genera and more than 75 species of truffle-like fungi from Australasia. 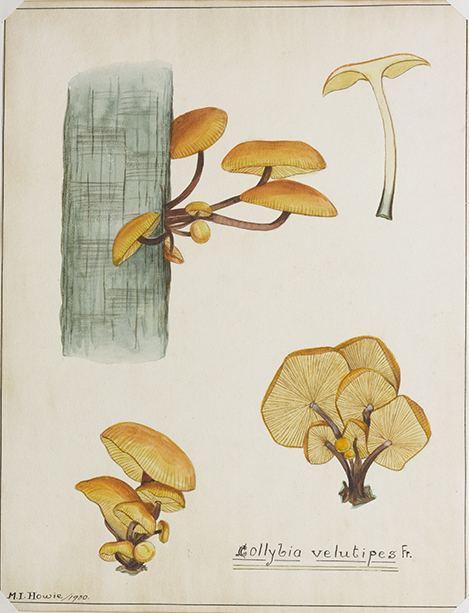 She is active in international mycological committees, and has a strong interest in science communication through development of education resources (forgotten flora), exhibitions and displays such as the Herbarium Interpretive Walk and Hidden in Plain View touring exhibition. 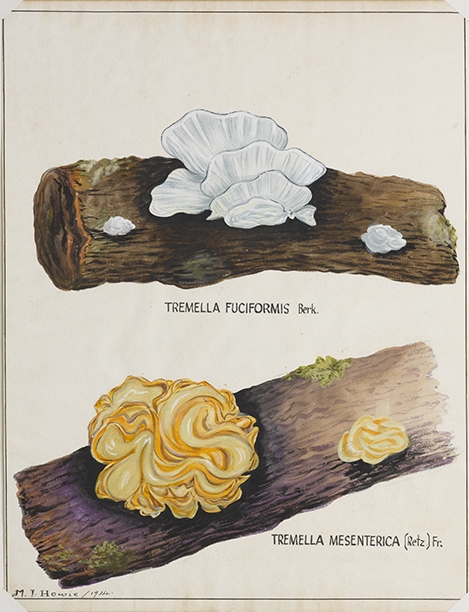 Teresa also has a long involvement with community natural history groups, including Fungimap Inc., the North American Truffling Society, and Fungal Network of New Zealand. 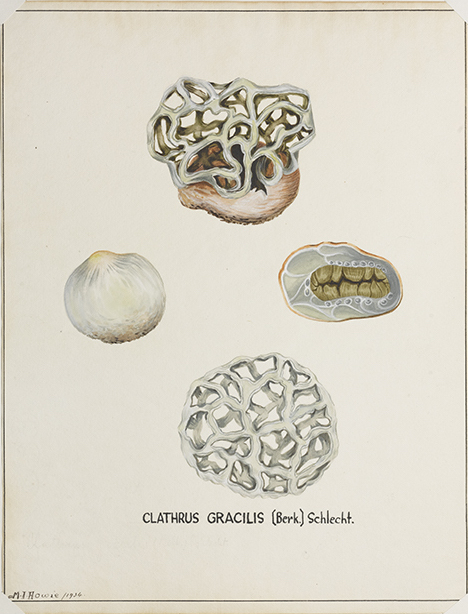 The University of Melbourne Herbarium (MELU) began in 1926 with a donation of around 3,000 specimens by the Rev. Herman Montague Rucker Rupp. 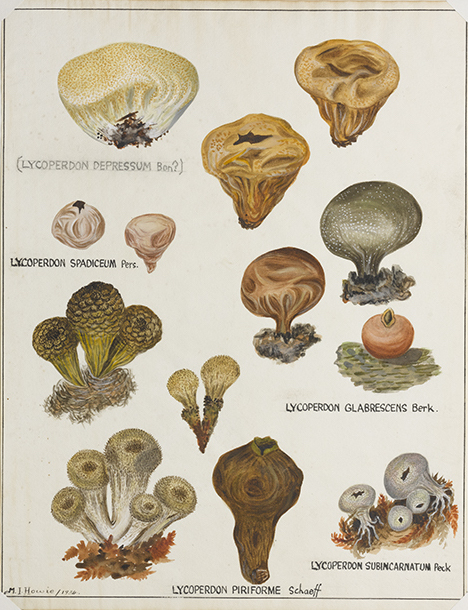 Since then it has continued to grow into a significant collection of flowering plants, bryophytes, algae and fungi; some of the latter are on display in this exhibition. 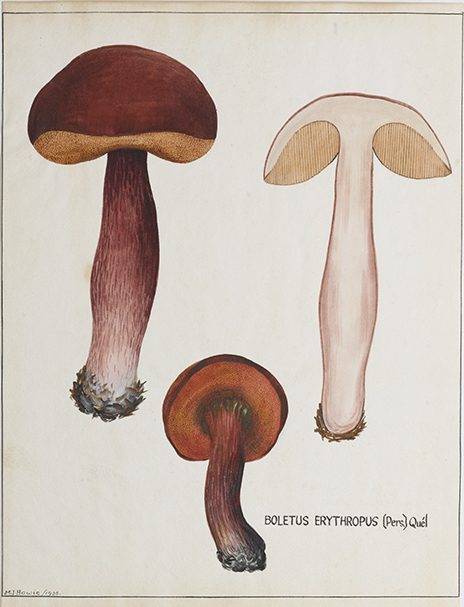 Today MELU houses over 100,000 botanical specimens along with art and historic botanical objects built up by staff and students in the School of Botany. 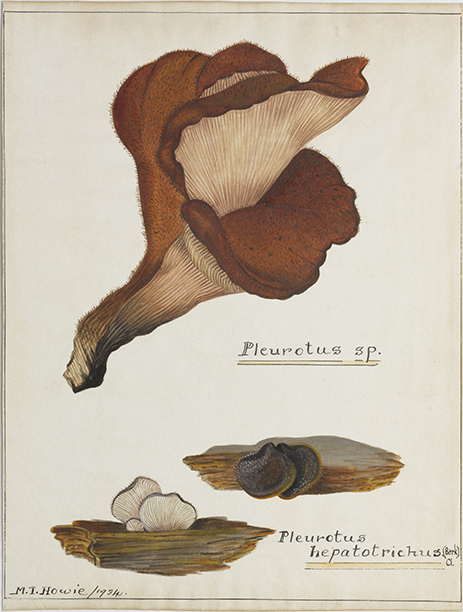 One very significant figure in the development of the University's Herbarium was Dr Ethel McLennan, affectionately known as Dr Mac. 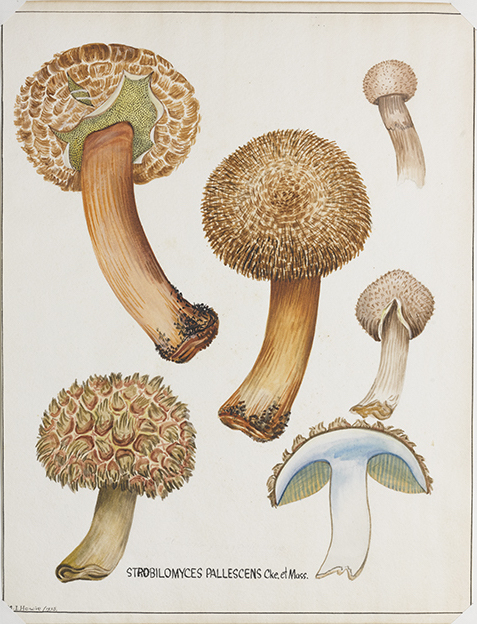 Not only the first woman to manage the Herbarium, Dr Mac was an internationally renowned mycologist and plant pathologist, an inspiration to many students, an avid supporter of women in science, and an artist who also encouraged others such as Malcom Howie. 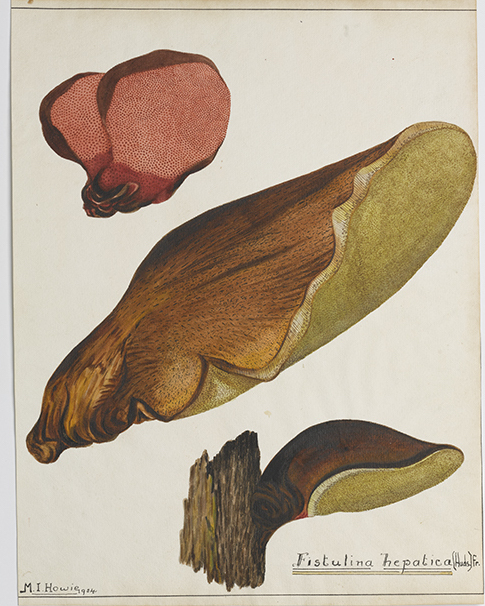 In this lecture, the current Herbarium Curator, Dr Gillian Brown, will introduce you to the University of Melbourne’s Herbarium, its collection and the story of this amazing woman, Dr Ethel McLennan. 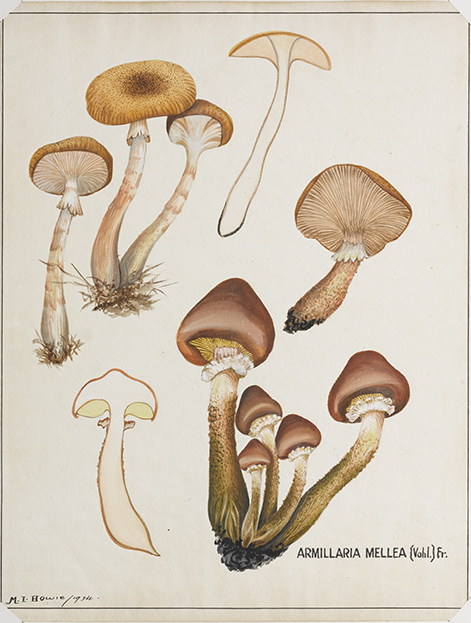 Depicting mushrooms - the art and science of painting fungi. 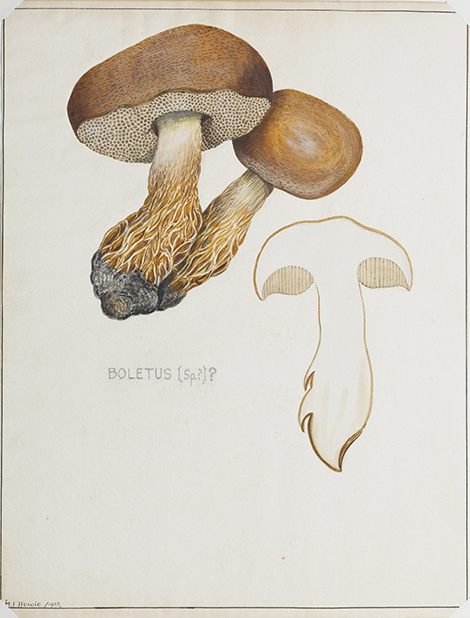 Fungi, such as mushrooms and puffballs, are ephemeral and sporadic in appearance. 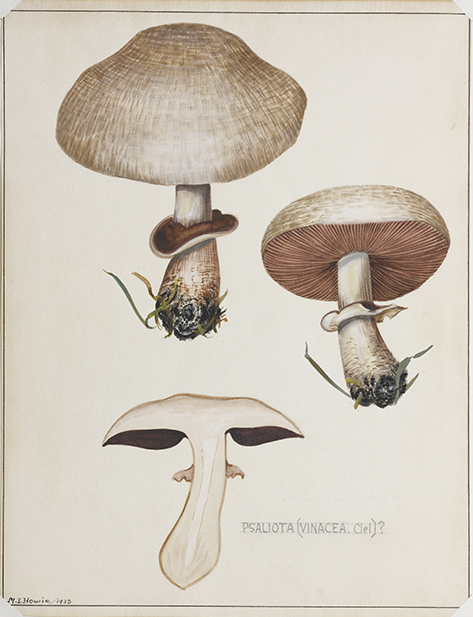 Therefore, depiction of fungi, usually in watercolour paintings, has always been an important part of scientific and popular engagement with this mysterious kingdom. 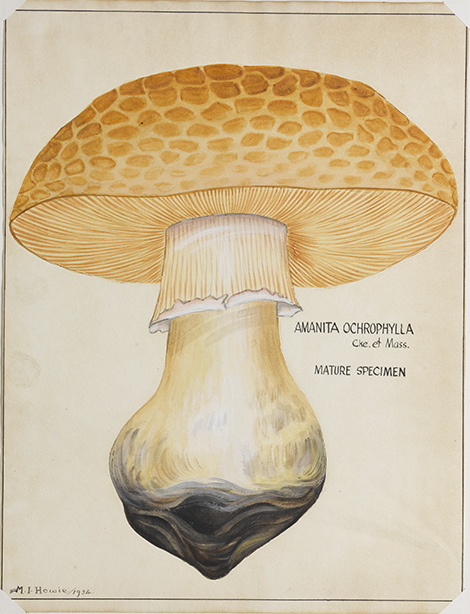 In the 19th century, most Australian fungi were formally named by European scientists. 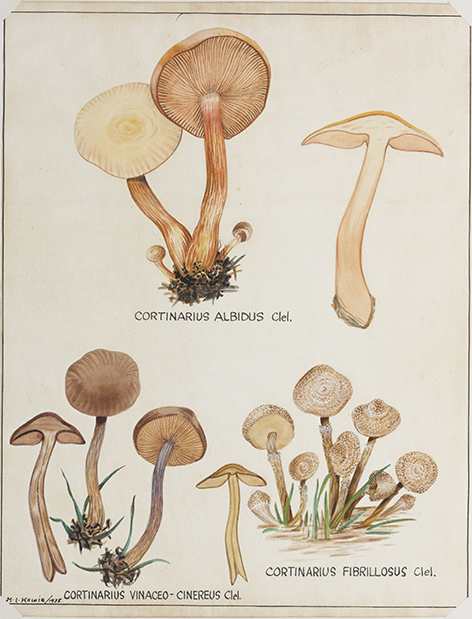 Watercolour paintings were an important adjunct to dried specimens in documenting the fresh appearance in the field. 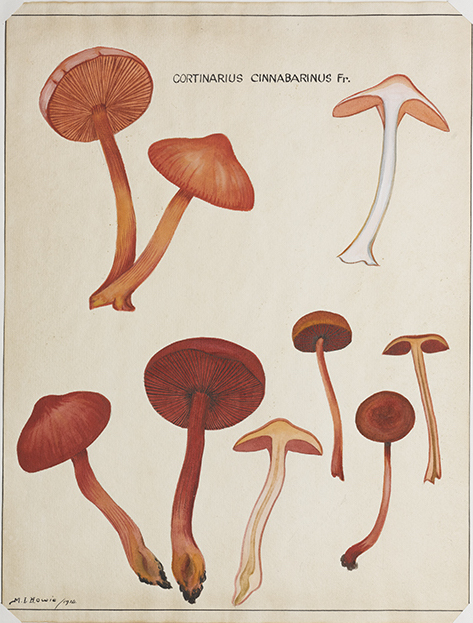 In the 20th century, the first field guides to Australian fungi utilised paintings to assist with identification. 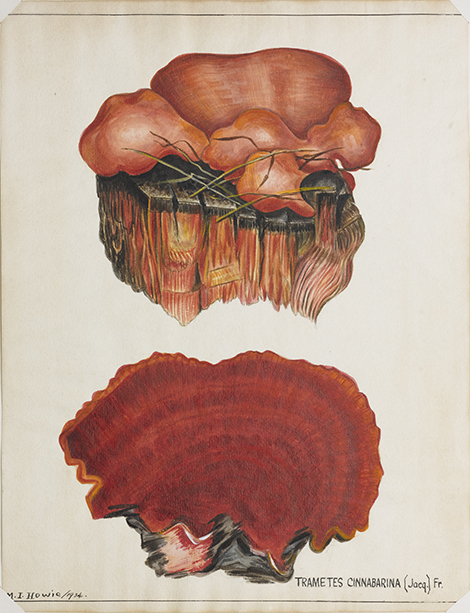 Paintings document the beauty of form and colour and the often bizarre and curious forms of fungi. 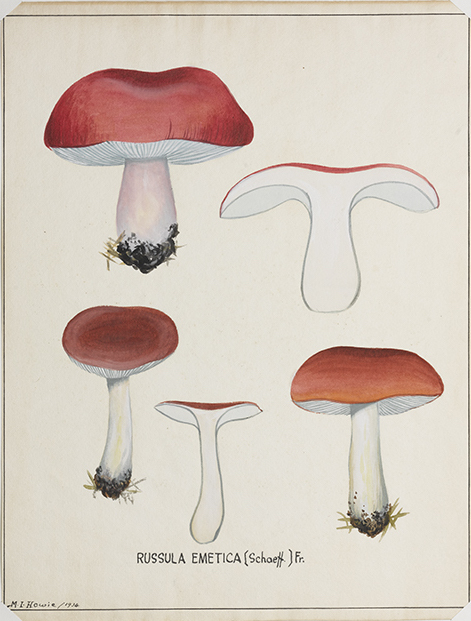 In this talk, examples of paintings of fungi from the collections of the The University of Melbourne Herbarium, the National Herbarium of Victoria and the Herbarium, Royal Botanic Gardens Kew, will be discussed from the perspectives of art, history and science. 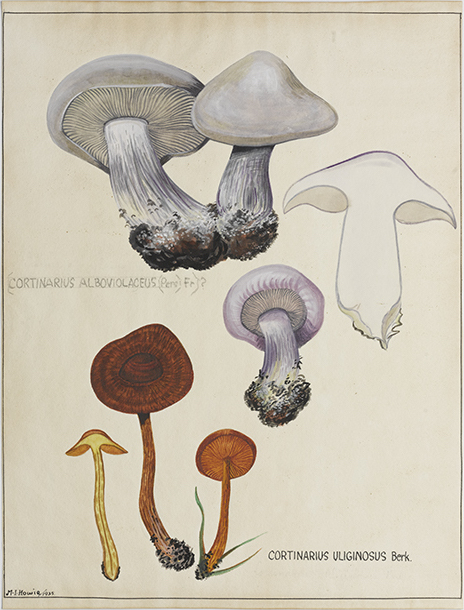 As a coda, the impact of digital photography on the artistic and scientific depiction of fungi will also be considered. 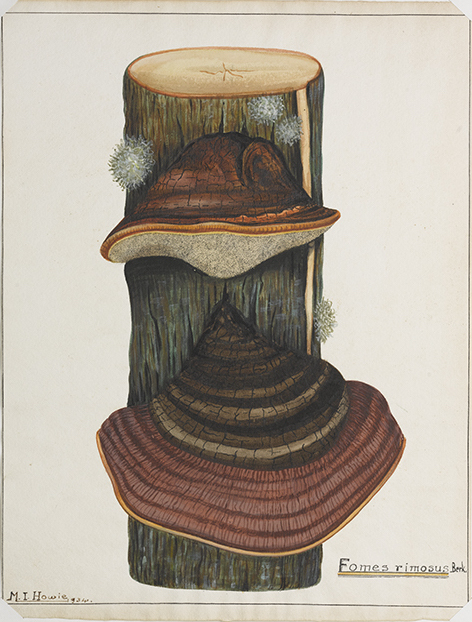 Tom May is a Senior Mycologist at Royal Botanic Gardens Melbourne, where his research interests are in the taxonomy, ecology and conservation of macrofungi. 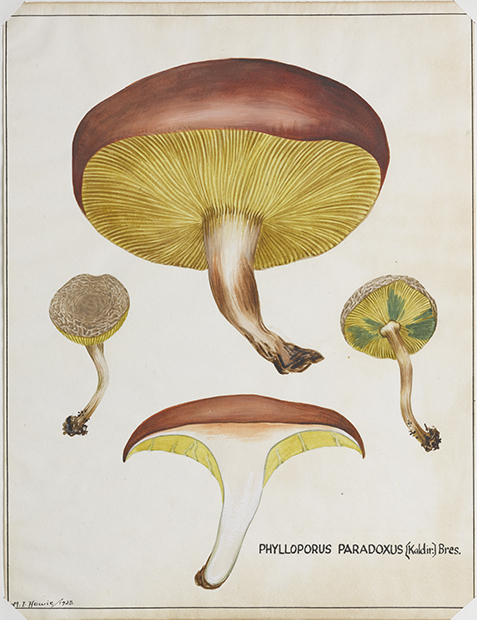 Recent publications include FunKey (an interactive key to Australian mushroom genera, 2014) and articles on the use of DNA barcode sequences in identification of fungi. 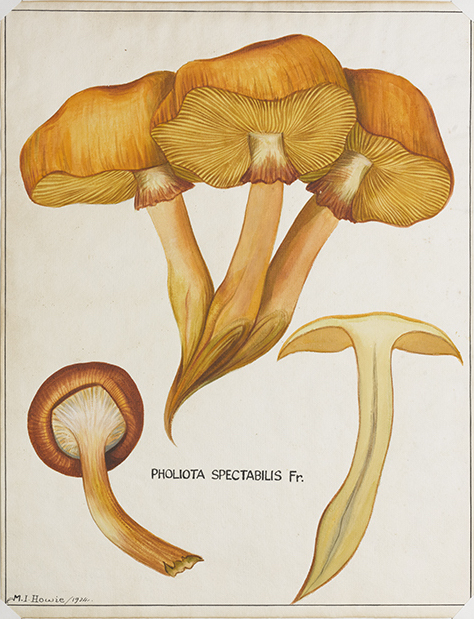 Tom has also written extensively on the history of Australian mycology. 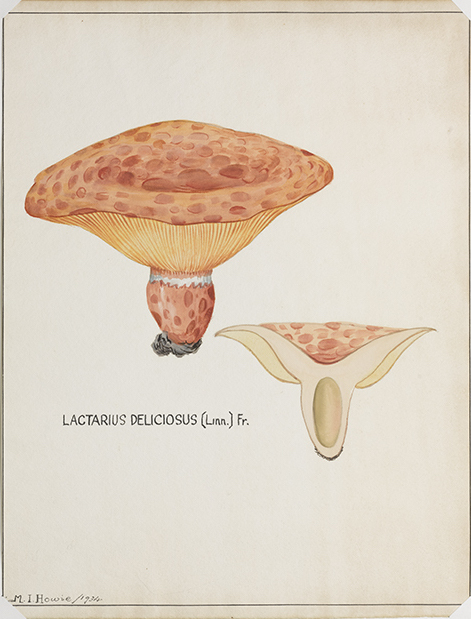 He is active in international mycological committees, including current Secretary of the Nomenclature Committee for Fungi and a member of the International Commission on the Taxonomy of Fungi. 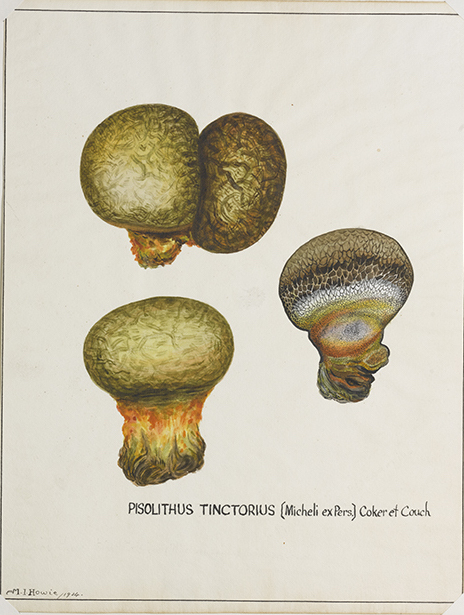 In addition, Tom has a long involvement with community natural history groups, including as current President of Fungimap Inc., and was awarded the Australian Natural History Medallion in 2014.